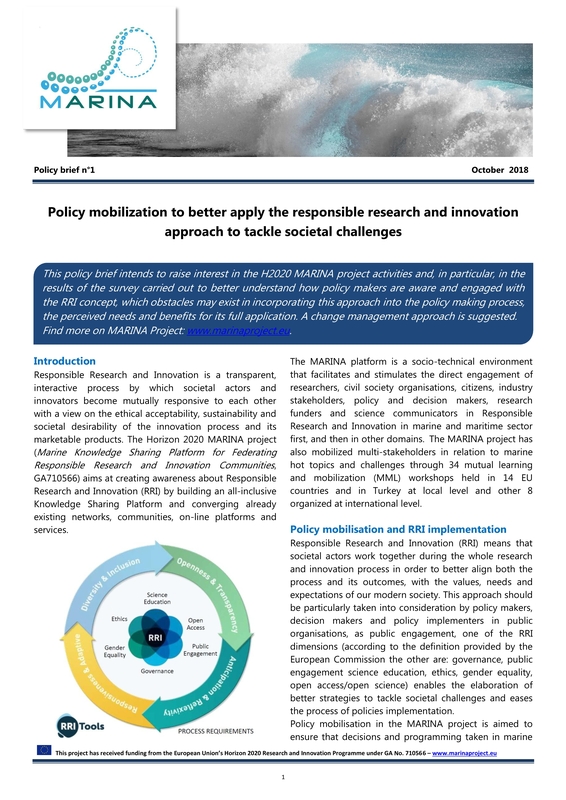 This policy brief intends to raise interest in the H2020 MARINA project activities and, in particular, in the results of the survey carried out to better understand how policymakers are aware of and engaged with the RRI concept; which obstacles may exist in incorporating this approach into the policy-making process; which are the perceived needs and benefits for its full application. A change management approach is suggested. Find more and download the MARINA Policy Brief: get on board on our Marine Knowledge Sharing Platform.